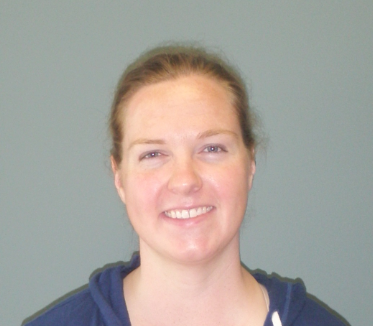 Freya is a CIGLR Postdoctoral Research Fellow working with Drs. Craig Stow (GLERL) and Thomas Johengen (CIGLR) to build statistical models of harmful algal blooms (HABs). Previously, Freya used a combination of field studies, mesocosms and quantitative tools to understand some basic questions about pond food webs and ecosystem functioning. Her research questions included examining the relative strength of top-down vs. bottom-up dynamics in ponds, manipulating cross-ecosystem subsidies of leaf litter, and examining green vs. brown energy pathways in ponds. Her interests also include the role of pond-breeding amphibians in shaping pond processes (for example, nutrient cycling and primary production), and how basal resources of a pond influence the success of larval amphibians. Burkhart, J.J., W.E. Peterman, E. Brocato*, K. Romine*, M.M. Willis*, B.H. Ousterhout, T.L. Anderson, D.L. Drake, F.E. Rowland, R.D. Semlitsch, and L. Eggert. 2017. The influence of breeding phenology on the genetic structure of four pond-breeding salamanders. Ecology and Evolution 7(13):4670–4681. Rowland, F.E., M.B. Rawlings*, and R.D. Semlitsch. 2017. Joint effects of resources and amphibians on pond ecosystems. Oecologia 183(1): 237-247. Rowland, F.E., S.K. Tuttle*, M.J. González and M.J. Vanni. 2016. Canopy cover and anurans: nutrients are the most important predictor of growth and development. Canadian Journal of Zoology 94: 225-232. Rowland, F.E., K.J. Bricker*, M.J. Vanni, and M.J. González. 2015. Light and nutrients regulate energy transfer through benthic and pelagic food chains. Oikos 124(12): 1648–1663. Rowland, F.E. 2015. R – A free solution for statistics and graphing. Stormwater Journal 16(2): 10-11. Rowland, F.E. 2014. The Statistics Behind BMP Monitoring. Stormwater Journal 15(3): 10-11. Schussler, E.E., F.E. Rowland, C.A. Distel, J.M. Bauman, M.L. Keppler, Y. Kawarasaki, M.R. McCarthy, A. Glover, and H. Salem. 2011. Promoting the Development of Graduate Student Teaching Philosophy Statements. Journal of College Science Teaching 40(3): 32-35. Kamarainen, A.M., F.E. Rowland, R. Biggs, and S.R. Carpenter. 2008. Zooplankton and the Total Phosphorus-Chlorophyll a Relationship: Hierarchical Bayesian Analysis of Measurement Error. Canadian Journal of Fisheries and Aquatic Sciences 65: 2644-2655.